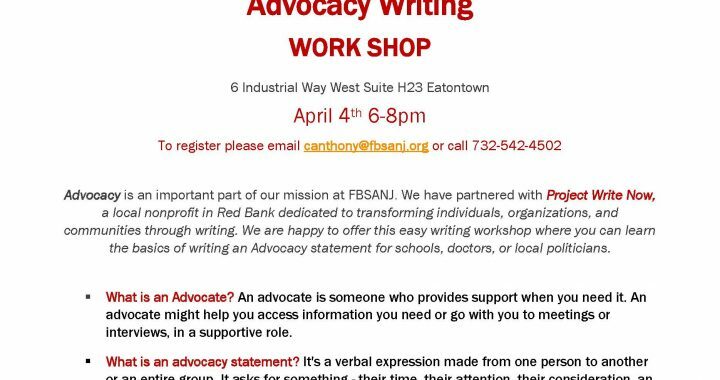 Advocacy is an important part of our mission at FBSANJ. We have partnered with Project Write Now, a local agency in Red Bank dedicated to transforming individuals, organizations, and communities through writing. 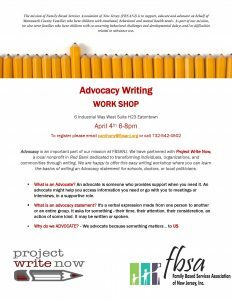 We are happy to offer this interactive writing workshop where you can learn the basics of writing an Advocacy statement for schools, doctors, or local politicians.